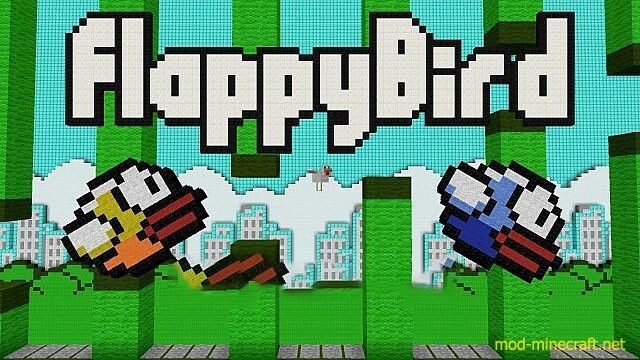 This is Flappy Bird in vanilla Minecraft. You can randomize the levels or play the same level again. You can play hard mode (Flappy dies instantly after touching a tube) or easy mode (Flappy can walk on a tube until the xp bar is full). Your score is shown on a moving hologram above Flappy. Every 10 score points a different flappy bird pixel art is spawned at the start. You can now also adjust the speed.